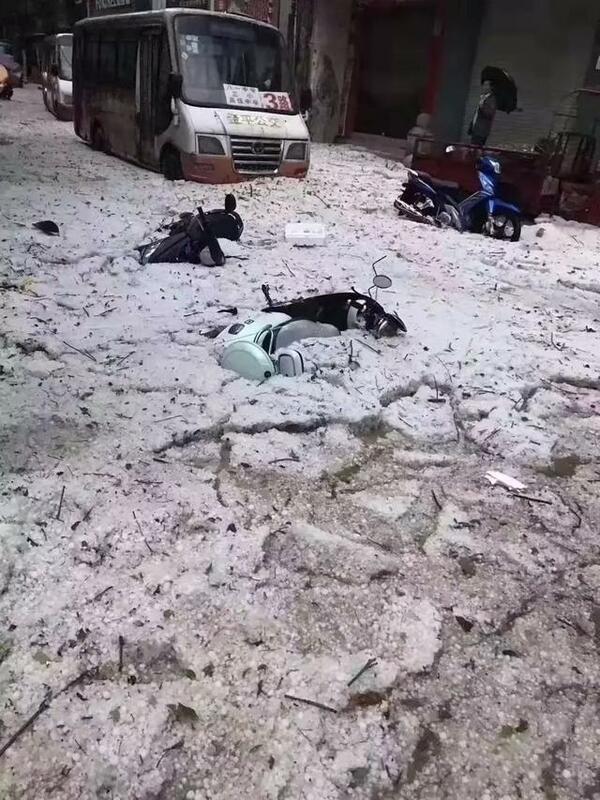 Heavy hail shattered vehicles and rooftops Tuesday morning in Jinping County southwest China’s Yunnan Province. 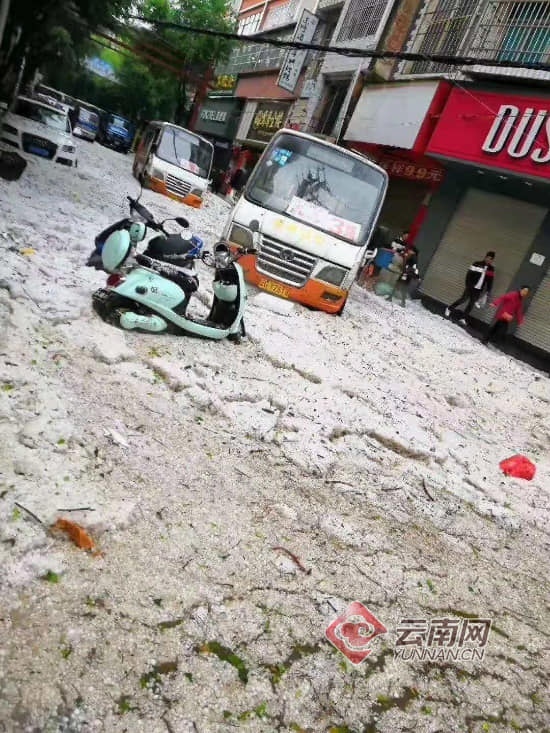 This was the strongest hail in 30 years for Jinping County causing severe losses to locals. 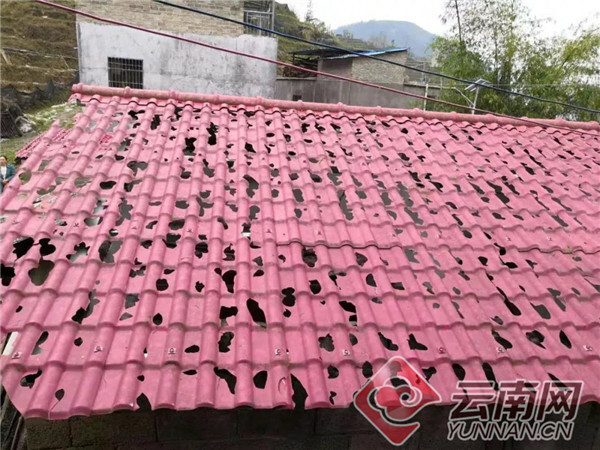 “When I went to close the windows around 6:30, I found that there was a hailstorm and my hand was hit by several hailstones,” said a resident. The local weather service said the rare heavy hail has disrupted local life to some extent. 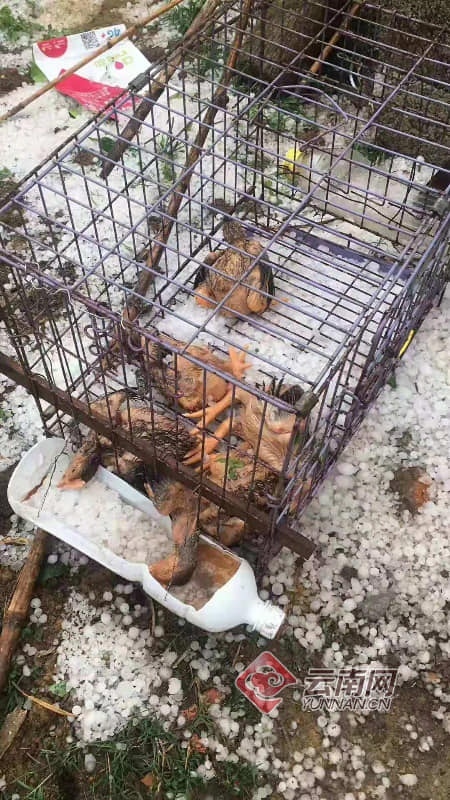 “Affected by southwest air stream, a thunderstorm appeared from 6:00-8:00 Tuesday in Jinping and some places also saw hail and strong wind. The county’s observatory stations have registered hail with a maximum diameter of 30 millimeters and a maximum accumulated height of 28 centimeters. 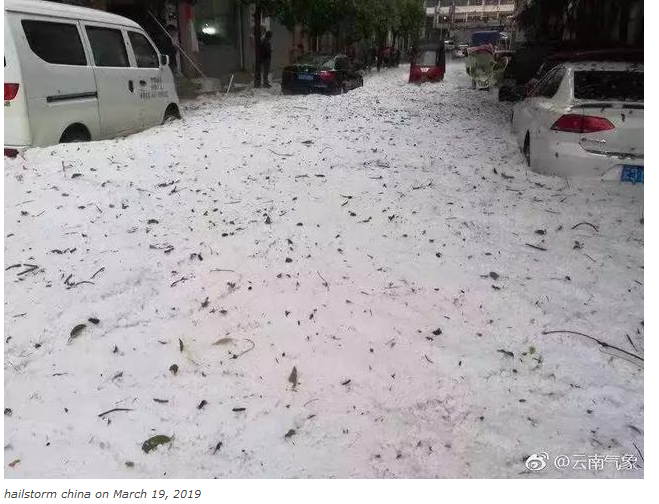 This is the strongest hail in nearly 30 years, it is very rare,” said Cheng Lin, deputy head of the meteorological bureau of Jinping. So far, the local departments have sent staff to clear snow on the roads to ensure traffic safety. China should stop weather experiments on its population!